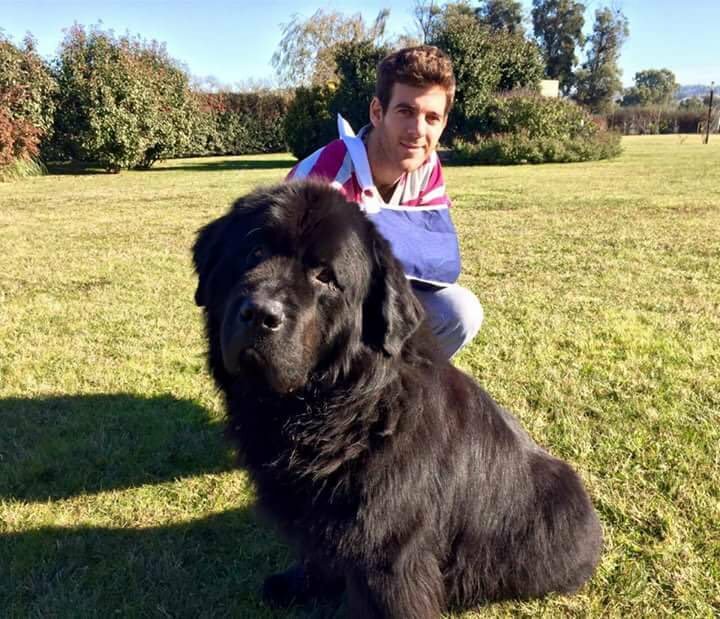 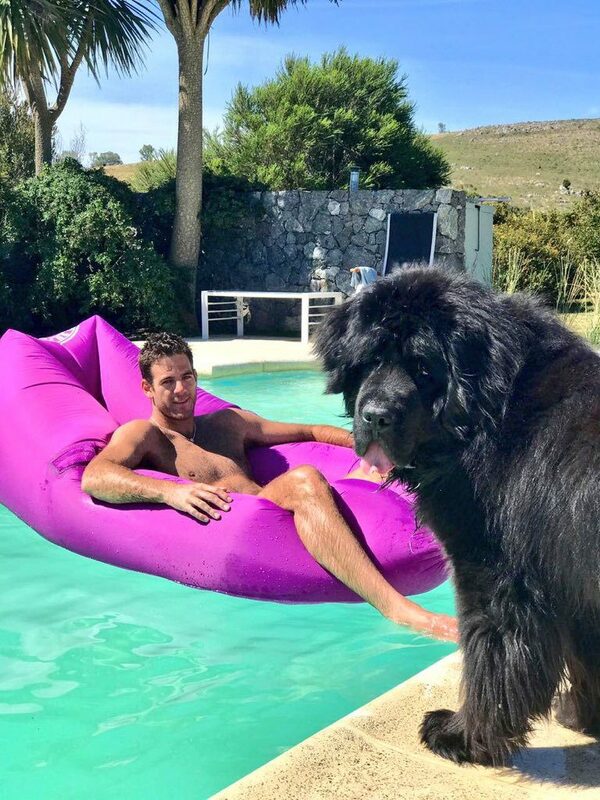 I’m starting this piece with a bunch of pictures of Delpo and his dog Cesar, because this is the kind of content that The Changeover aims to deliver for your satisfaction (and mostly mine). 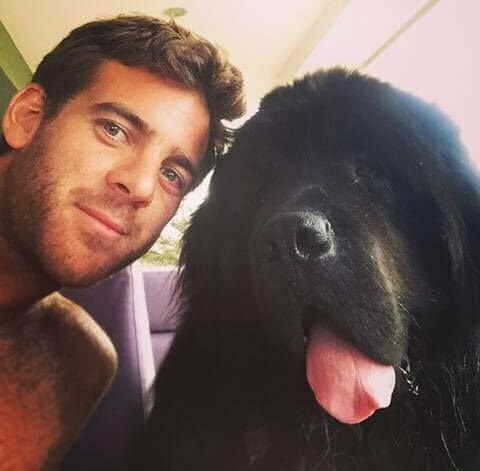 You can’t tell me that there is a better puppy in the universe than this massive bear who is basically Delpo’s body double. 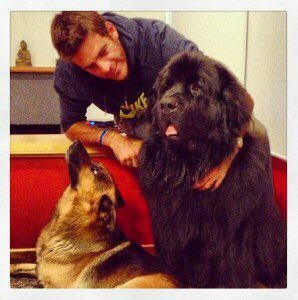 Dominika Cibulkova’s dogs, Spajky and Woody, are great. 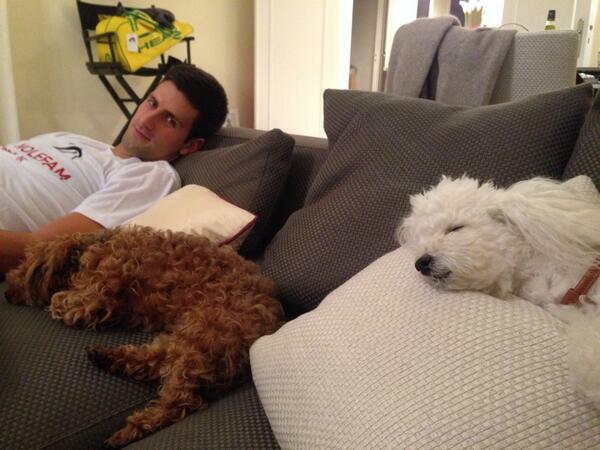 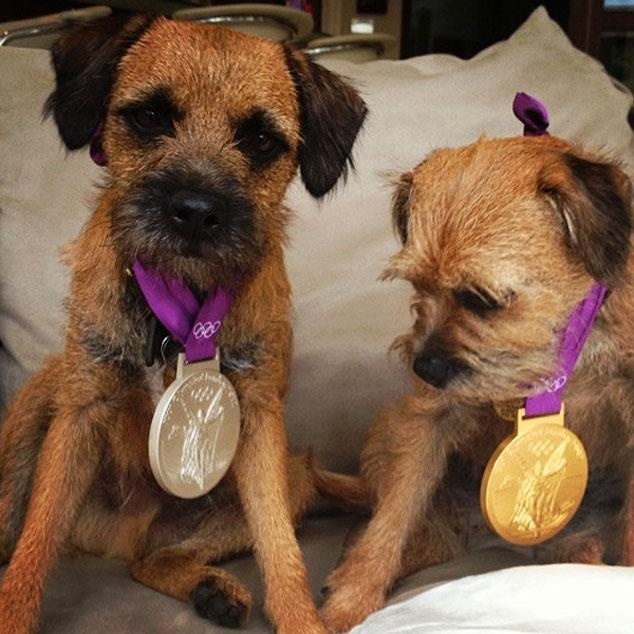 I’m pretty obsessed with Novak Djokovic’s dogs, Pierre and Tesla. 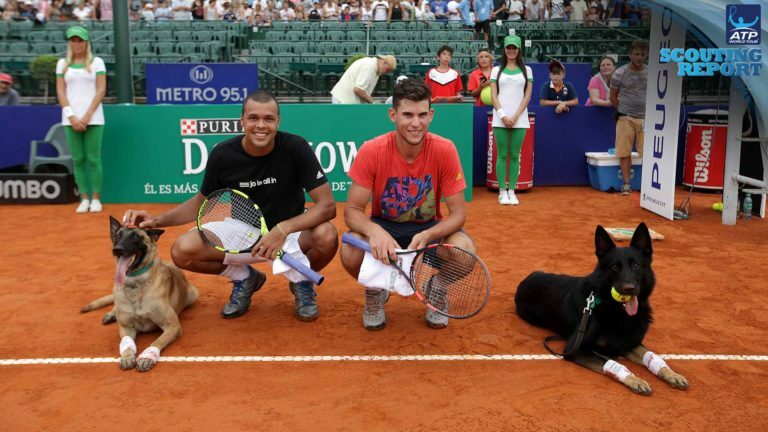 What’s not to like about Dominic Thiem and Jo-Wilfried Tsonga with these very good ball-dogs in Buenos Aires? 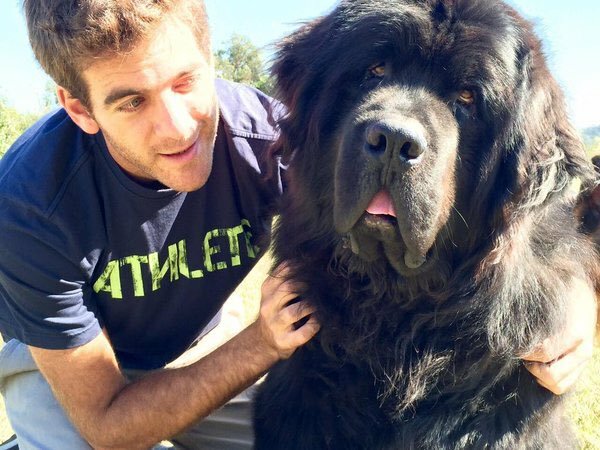 Caroline Wozniacki’s dog Bruno is one of my favorite tennis dogs. 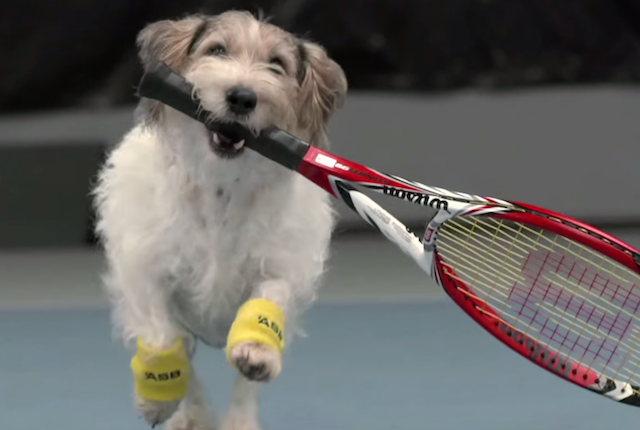 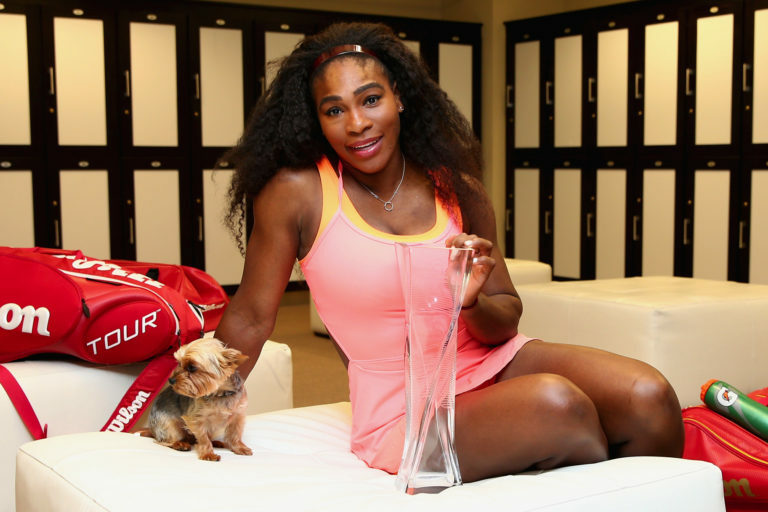 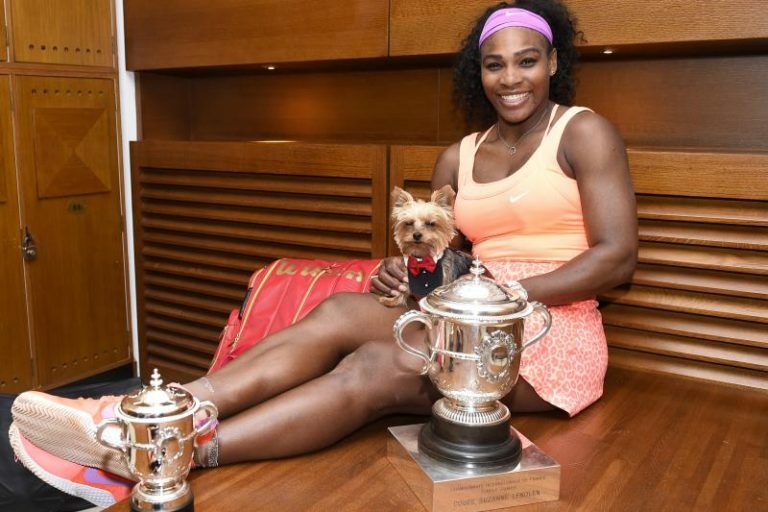 Also one of my favorite tennis dogs: whoever this dog is. 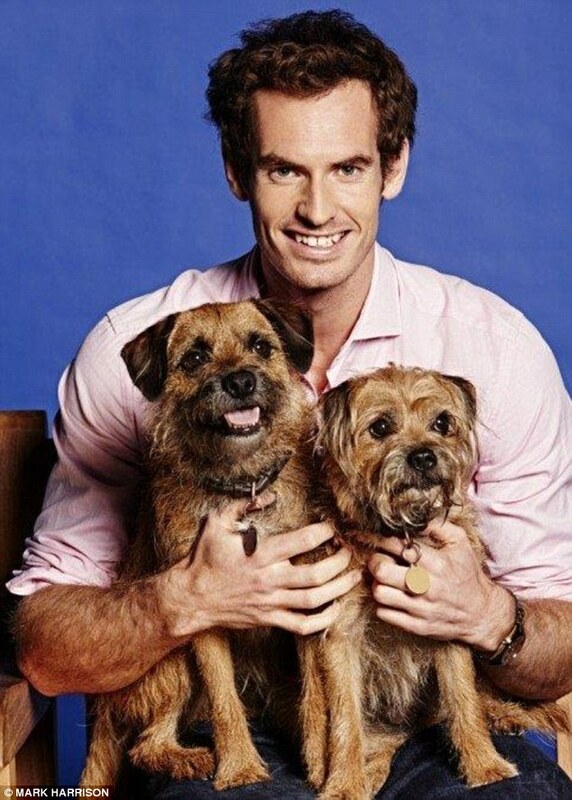 Did I offensively miss any of your favorite tennis dogs? 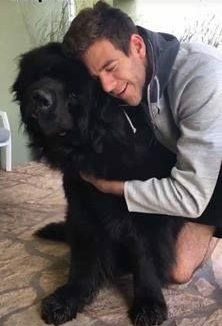 If so, please share them in the comments section. 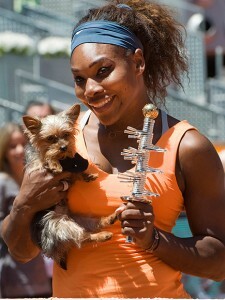 So many tiny dogs! 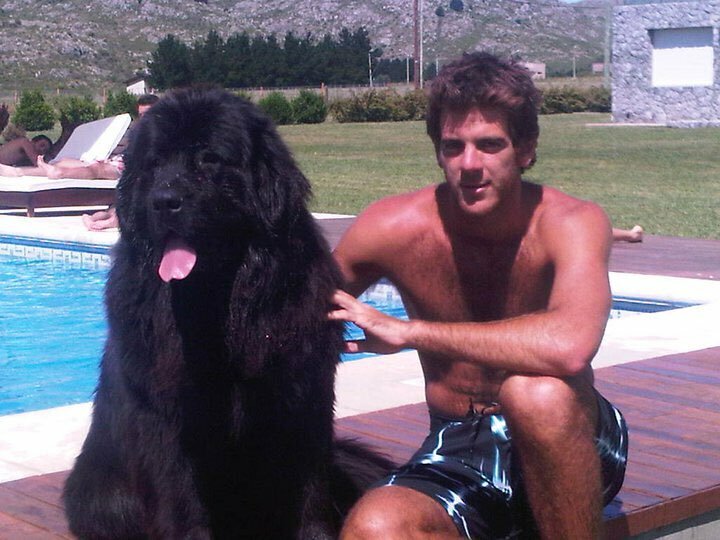 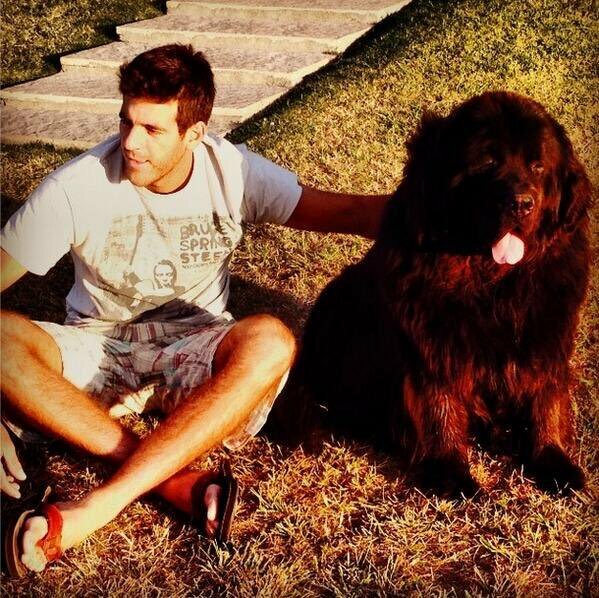 But then I’m guessing Delpo doesn’t travel with his dog…. 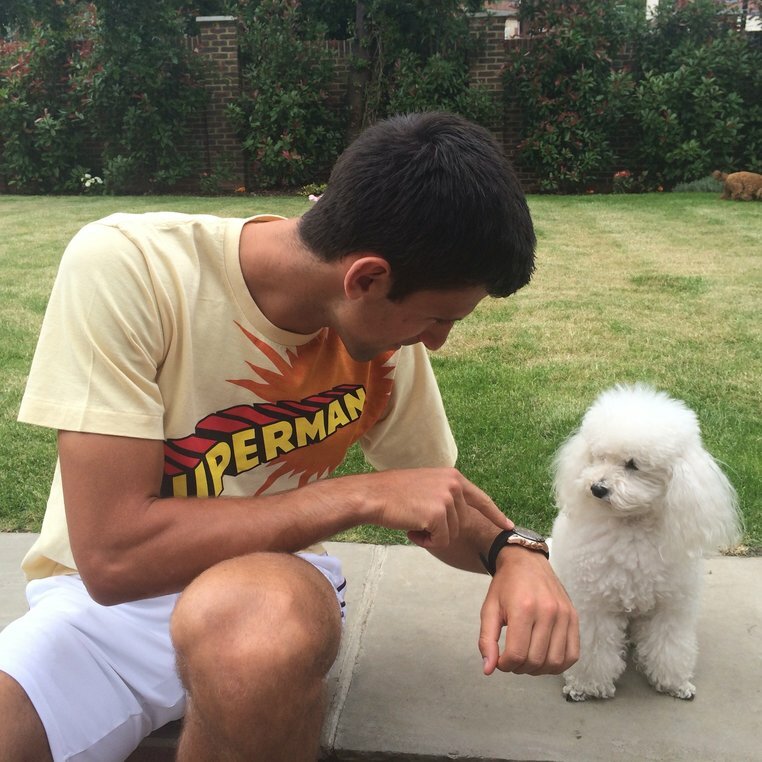 Next Entry: Break Points: Who Wore It Better?